The real-life stories of a singer turned spymaster, and of a Lebanese immigrant who became Greek, form the threads in a play that has earned University of New England (UNE) Theatre Studies student David Joseph the prestigious 2017 Philip Parsons Prize for Performance as Research. Mr Joseph, who graduated from UNE in 2016 with a Masters of Applied Theatre Studies, used the archival stories of his grandfathers for his prize-winning project Deceptive Threads: the Staged Archive as Historical Disclosure. It is the second consecutive year that UNE students have won the Philip Parsons international prize. Another UNE Theatre Studies student, Susie Hardgrave, won the Australasian award in 2016. Dr Julie Shearer, Lecturer at UNE’s School of Arts. Both prize winners were supervised by Dr Julie Shearer, who said the award is proving that UNE’s relatively small Theatre Studies program is punching well above its weight. For his part, Mr Joseph said the prize was “an incredible honour”. Mr Joseph’s performance-led research project ‘Deceptive Threads’ explores personal and national identity questions, and was inspired by his exhaustive search for his grandfathers in Australian archives – including classified ASIO files. His grandfathers’ stories are glimpses of a hidden Australia. One was a famous Tivoli singer turned ASIO spymaster who vetted unwanted arrivals, while the other was an early Lebanese immigrant who had to lie about his birthplace to gain Australian naturalisation in the White Australia era. Mr Joseph used story-telling, physical theatre, illusion, percussion and layered multimedia to weave the stories of his grandfathers’ lives into a potent theatre work, performed at Melbourne creative hub, ‘fortyfivedownstairs’, in 2015 and again in 2016. The research project was his first foray into academic writing, but Mr Joseph was full of praise for the support and encouragement he received from UNE and Dr Shearer. “The Master of Applied Theatre Studies is fully online and all aspects of the experience at UNE was great,” he said. “I received lots of help and support, and Julie was really, really fantastic. Dr Shearer said the Philip Parsons recognition shows that UNE’s Theatre and Performance courses “are of a standard of excellence that is nationally recognised”. “Our courses offer students a unique opportunity to pursue theatre scholarship, practice and performance-led research on campus or by online study. 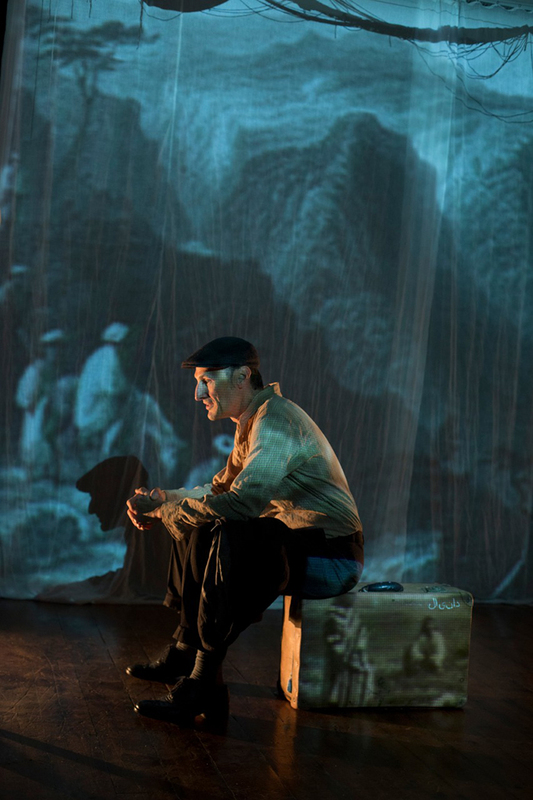 “David’s performance research confronts contemporary notions of Australia’s identity and emotionality in our response to migrants and refugees and genuinely contributes to cross-disciplinary scholarship and Australian theatre practice. Dr Shearer has taught Theatre and Performance at UNE since 2013. 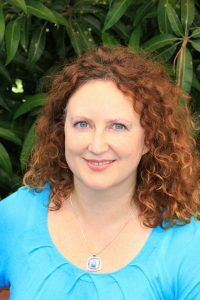 With a background as a professional practitioner both in Australia and Ireland where she lived for 15 years, Dr Shearer is uniquely placed to guide Higher Degree students within the field of practice-led research at UNE.